The finalists for this year’s NYC Vendy Cup are The Chipper Truck, The Cinnamon Snail, El Olomega, King Souvlaki and Luke’s Lobster. These five trucks, determined by public nominations, will advance to prepare eats at the NYC Vendy Awards. Judges will crown the Vendy Cup winner, while attendees will decide the People’s Taste Award. 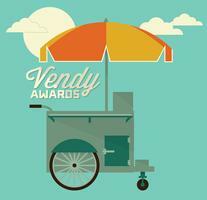 The NYC Vendy Awards, now in its ninth year, take place Saturday, Sept. 7 at Industry City in Sunset Park, Brooklyn. Tickets start at $95 and includes all food and open bar. The Vendys is a fundraiser for the Street Vendor Project. Taste of 7th Street returns!